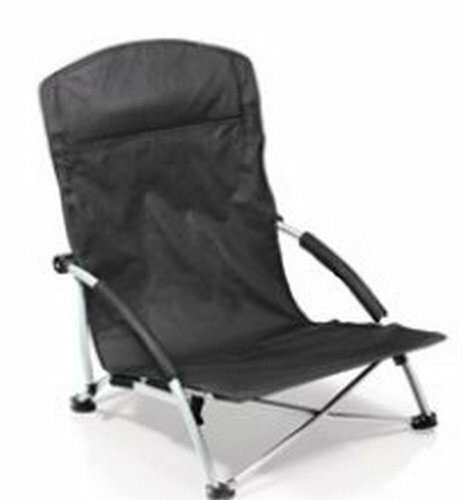 The Tranquility Chair is a heavy-duty, fold-flat portable beach chair that has padded armrests and a large zippered pocket along the top back edge of the headrest. It's designed so all four corners of the chair fold in towards the center of the chair for the most compact and convenient storage. The chair's frame is silver-colored powder-coated steel with black 600D polyester seat and armrests. It includes a matching drawstring bag for easy carrying and transport. You're going to love this chair!